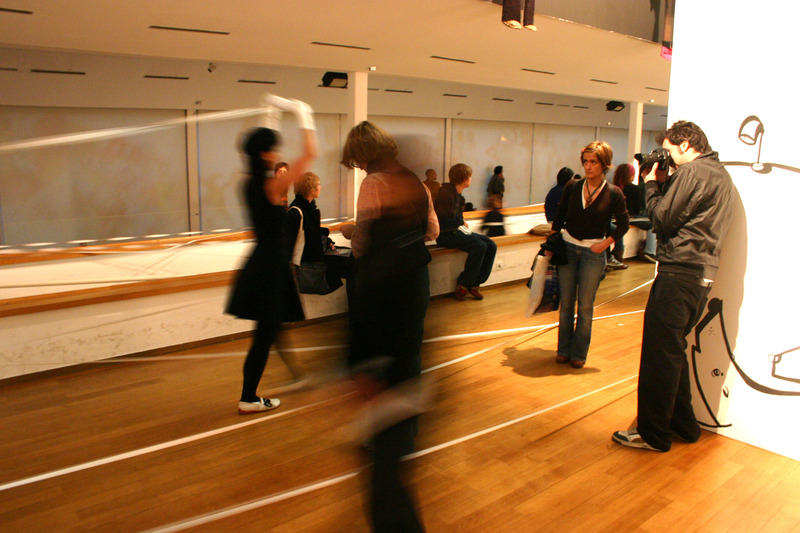 This project has been prepared by LIUBA as a site-specific and interactive intervention for the PAC Pavillon in Milan, as an intersection between places and people. 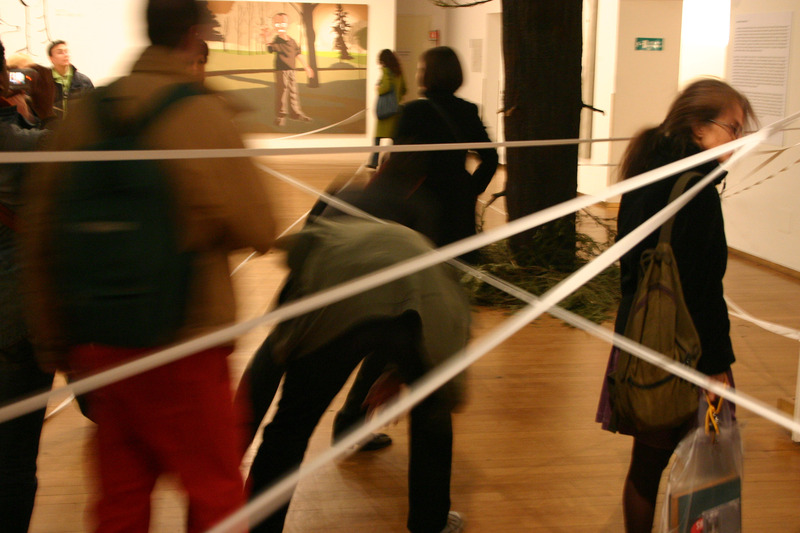 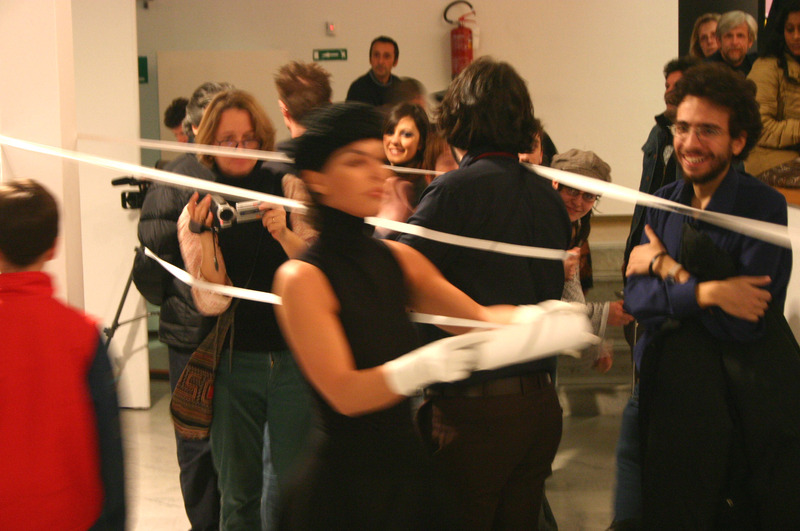 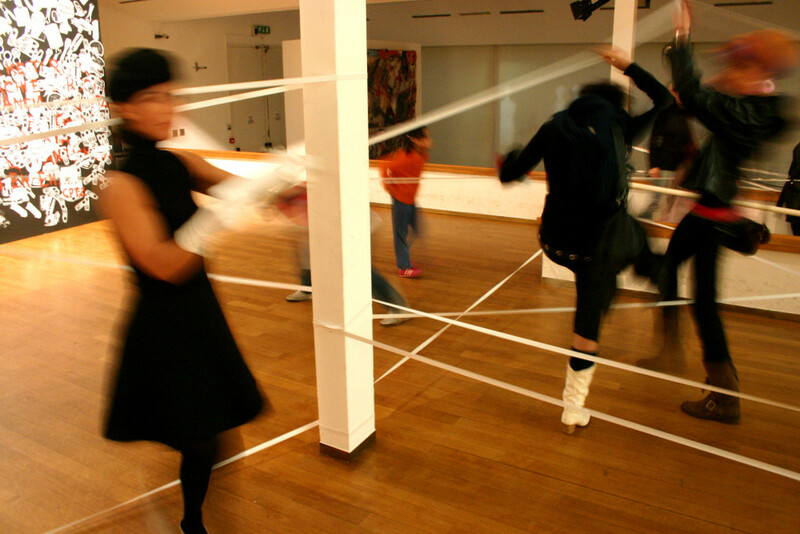 The performance, began by surprise among the public of the opening, developed itself into the construction of a big web of white elastic ropes, which caused interference among the people and the space. 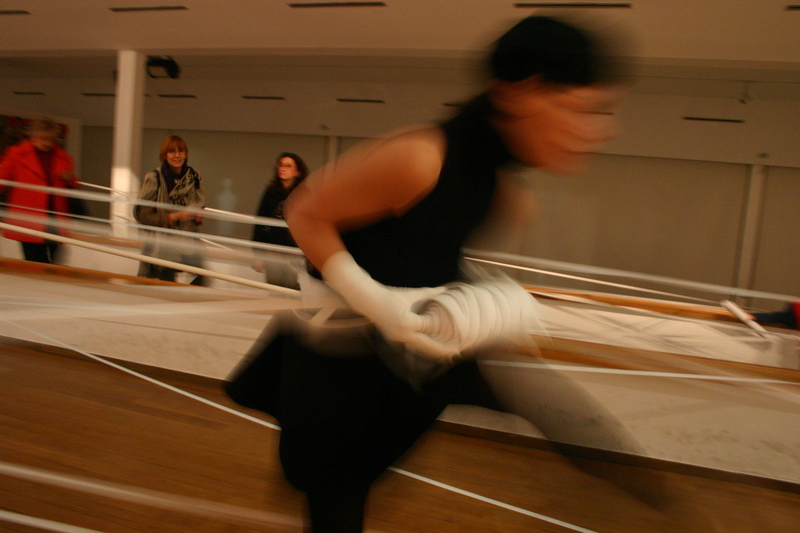 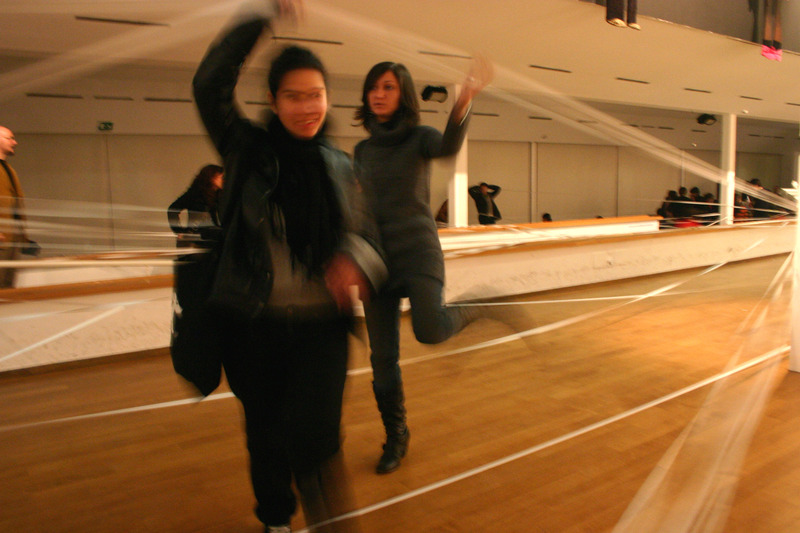 The performance is an interactive intervention that ironically shows the hidden dynamics of relationships between people in a space, and it gives shape to the invisible energies that surround us. 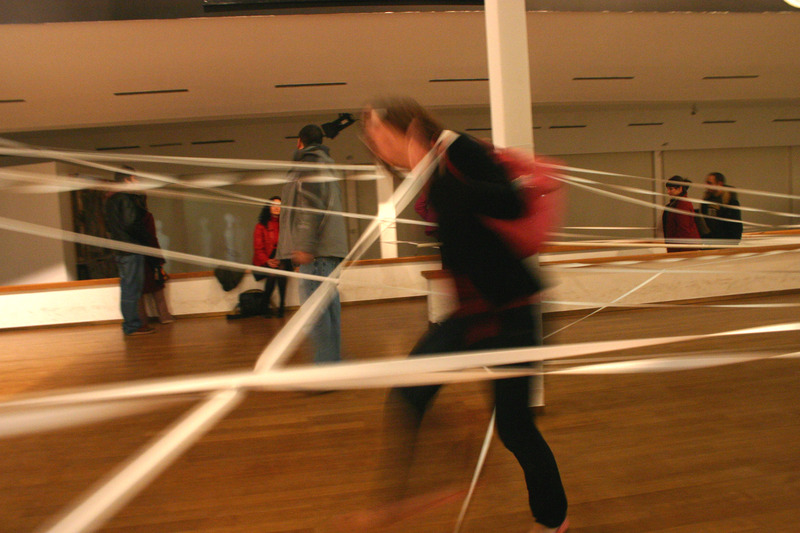 LIUBA wrapped the space of the PAC with an elastic web, a poetic metaphor of visible and invisible relationships. 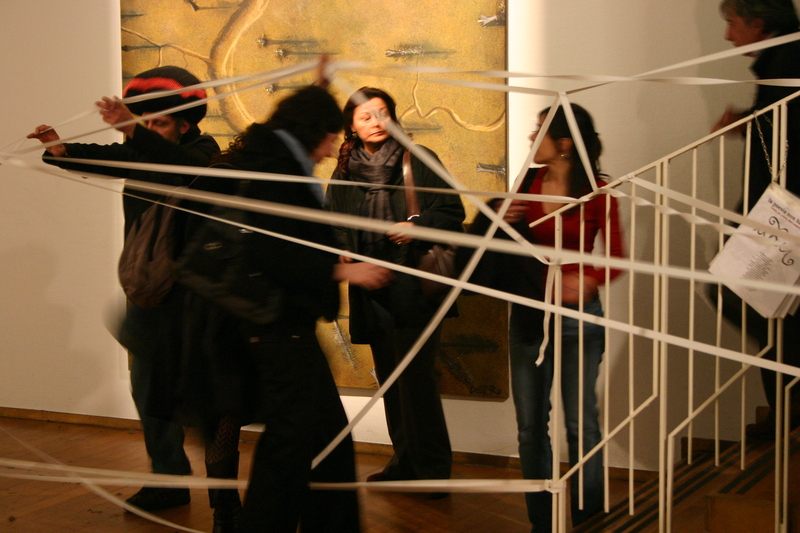 The elastic thread is either a sign of union, bridge, connection, a point of contact with the other (either place, person or time), but also a sign of tension, of bonding, of chaotic maze.